This is it — the final list of 2015. After countless hours of deliberations (which you can listen to here), our team finally narrowed down our top ten favorites games of 2015. This is, of course, an aggregation of our general thoughts, and if you’d like to see each of our individual lists you can check them out at our 2015 GOTY hub. 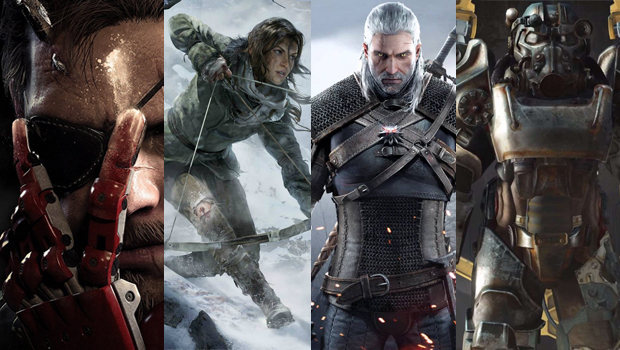 Without further ado, here is Gaming Trend’s top ten games of the year. Just Cause 3 may not have had the best story or framerate of any game this year, but it was the most badass game of 2015, by a wide margin. Flying around, causing endless explosions, and telling cows that you’re going to kill them — Just Cause 3 is just an entertaining game through and through. Whispers of Fallout 4 had been heard for years, but very few people could have predicted the impact of Bethesda’s bombshell announcement mere months before the game’s release. Luckily, Fallout 4 was everything that gamers had hoped for, bringing the series’ trademark combat, landscape, mechanics and exploration along with it. And while the end result may have felt strikingly familiar, settlement building stands out as a great (and surprisingly addictive) new addition to the already massive sandbox that is the wasteland of the Commonwealth. It may not be among the most innovative games on this list, but Fallout 4 is an explorer/scavenger’s dream and proudly boasts hours and hours of content that’ll keep us coming back for years.